Keeping with the demand for the Canvas 5 series, Mircomax has now launched a special edition offering – the Micromax Canvas 5 Lite. 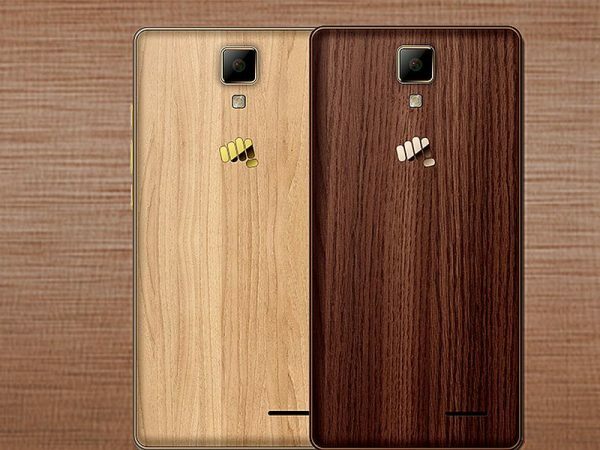 Micromax has announced the launch of the Micromax Canvas 5 Lite, which is the company’s special edition 4G smartphone offering in the Canvas 5 series with a wooden finish on the back. The device has a 5 inch IPS display with resolution of 1280 x 720 pixels. The smartphone is powered by a 1.0 GHz quad core MediaTek processor with 3 GB of RAM and 16 GB of internal storage. The Micromax Canvas 5 Lite has an 8 MP rear facing auto focus camera with LED flash. There is also a front facing 5 MP camera. The device runs on the Android Lollipop version with a 2000 mAh battery. The phone has dual SIM support with 4G LTE connectivity. The handset is available in maple and walnut wood finish options. The pricing and availability will be announced at the time of the release.